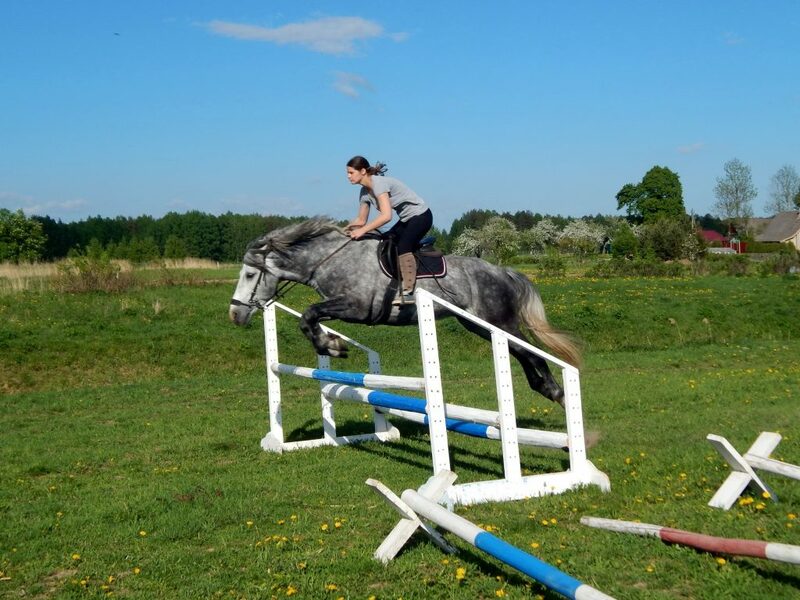 THE INTERNATIONAL HORSEBACK RIDING CAMP was established in 2013 for girls and boys 12-25, who love horses and riding. 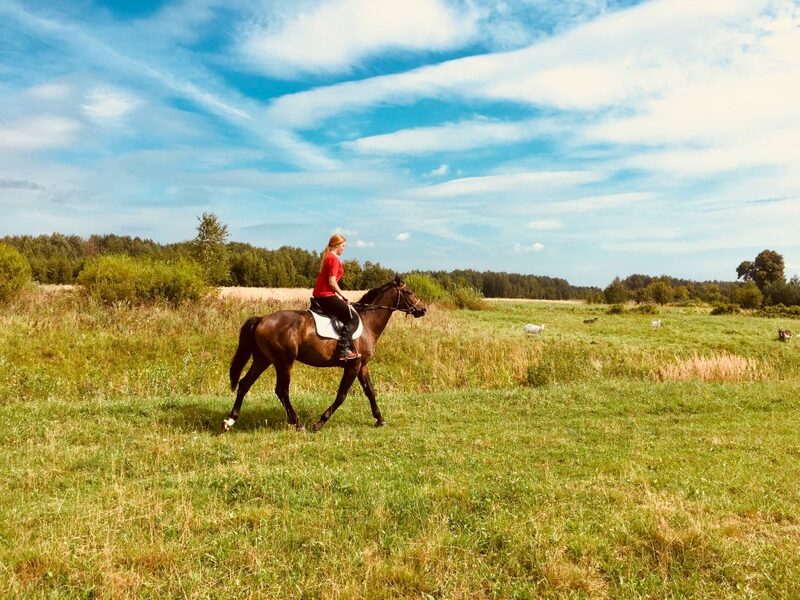 Located 20 miles West of Vitebsk City, the riding camp provides an environment in which horse lovers can experience various riding disciplines: hunt seat equitation, cross-country jumping and western. 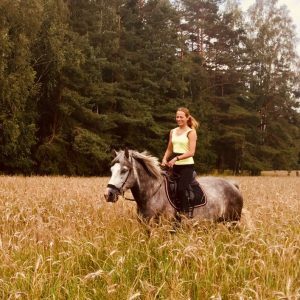 We offer a well rounded equestrian camp program along with full board (Russian meals) and v/a activities like fishing and swimming. 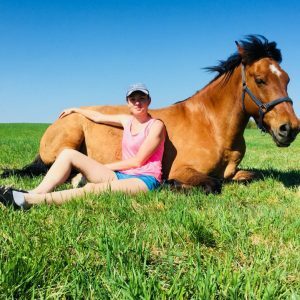 Our riding camp offers three to four hours of riding lessons a day, six days a week. 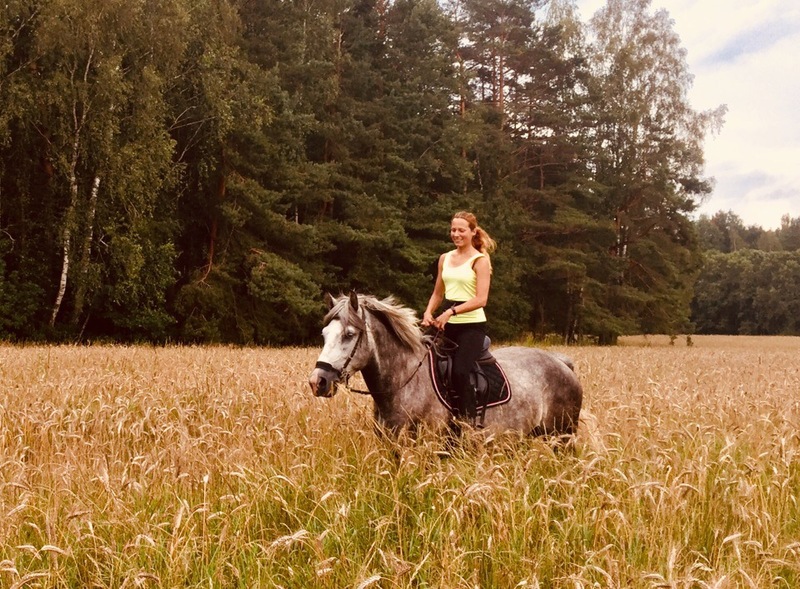 For some campers, three hours a day is not enough riding so we offer options of adding additional riding time so they can ride 4 1/2 to 6 hours a day. There is a maximum of 5 campers in any session at once. About half of the campers come from Russia; the rest come from across the United States, Europe, Asia. 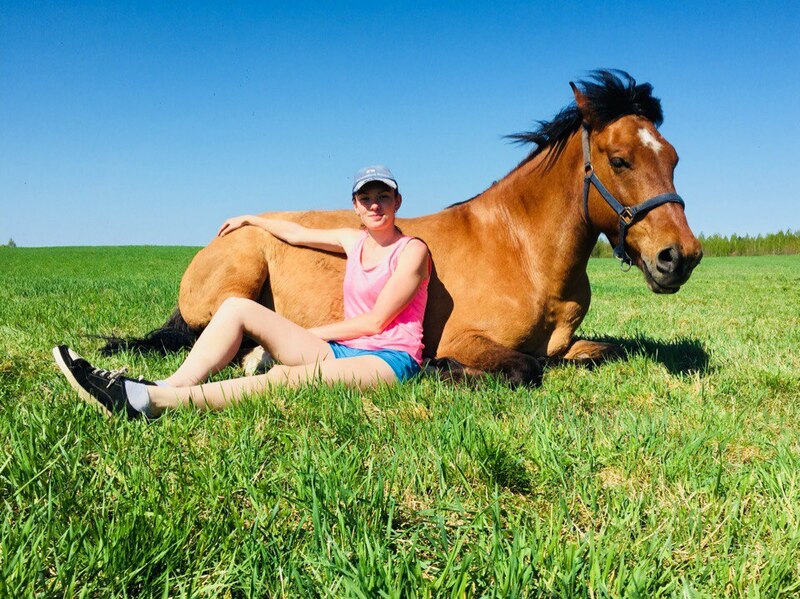 Our campers make lasting friendships that continue many years after they leave our riding camp. Booking for Summer 2019 already available! 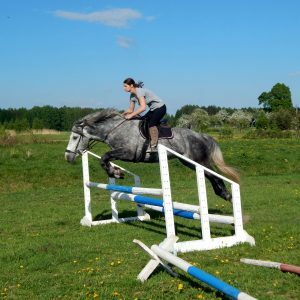 Our English horseback riding camp also offers riding during the Winter. 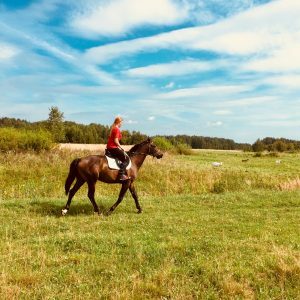 The only horse camp to offer an endless camping and horse riding in Belarus! Regular fee is $395 $295 for one person per week including transfers from/to Minsk International Airport.